After more than a year in the making, Massive Beast V.2 follows up it’s predecessor by boldly taking Massive to new sonic heights in multiple genres of EDM. MBV2 comes loaded with 150 Massive presets geared for EDM. The pack contains sounds for genres like Progressive, House, Electro, Dubstep, Melbourne, Trap and even Garage/Deep House. Refresh your Massive library with a soundset that covers almost every popular genre of EDM. These sounds are ahead of the curve, so if you want to stand out from everyone else, check out the demo. 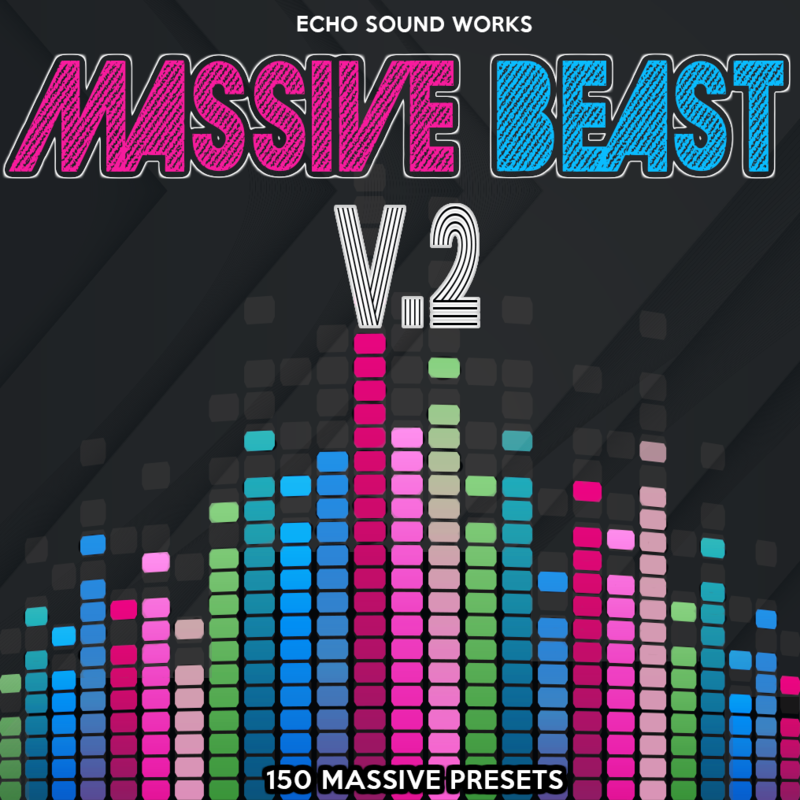 This truly is one of the most creative soundsets on the market for NI Massive. Backed by our 100% satisfaction gurantee. Massive Beast V.2 also comes with some amazing, royalty free bonus items. We've included 75 custom drum samples used for the demo and we've been using these in our own productions. There are alo 30 production ready MIDI files that you can use royalty free.